Medieval English bronze buckle is a reconstruction of accessories of the 1200-1500 years. It is laconic and simple. We are basing on the museum samples. In the Middle Ages, belt with buckle had not only practical role, but also was an adornment and pointed out social status of owner. Bronze buckle is beautiful and durable attire. It is suitable as for men's so for women's clothing. Belt of black or brown leather will be perfect for this oval buckle with locking prong. Medieval belt strapend of the Western Europe makes amazing cast belt set together with this buckle. Buckle size: 26 x 22 mm. Medieval decorative English buckle with mount is a high-quality reconstruction of its historical analogue. As we know, armor and everyday clothing were boasts of owner. They pointed out social status of wearer. Such buckles are classics of those times and we can meet them in museums of the United Kingdom. 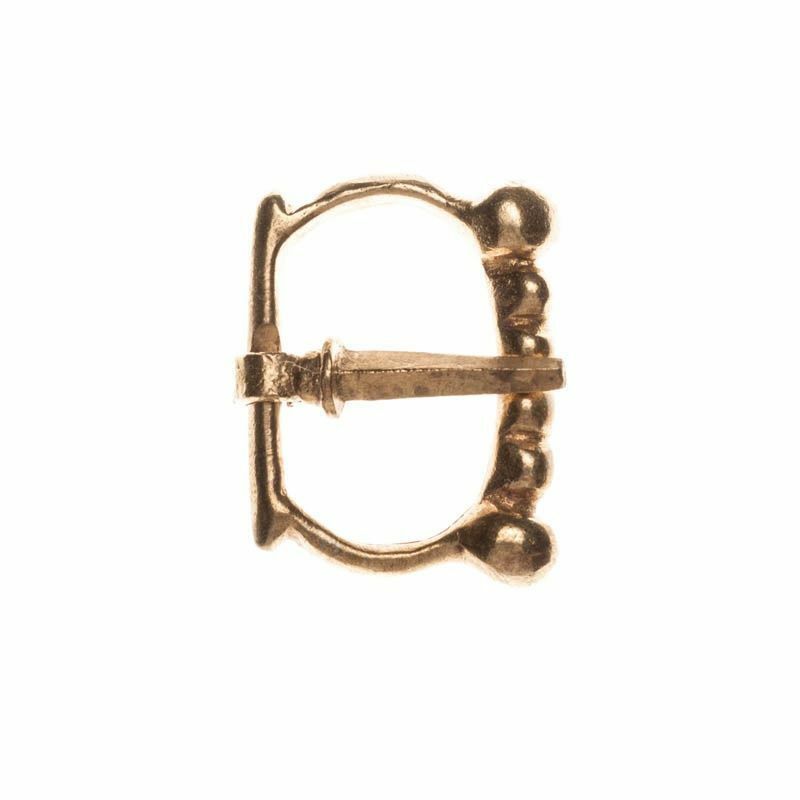 Decorative buckle with mount is a necessary thing for medieval costume. Square-shaped buckle with frame, it is consisted of two details with locking prong. Metal plate is ornamented with flower. Buckle is appropriate for men's or women's garment. Medieval custom belt strapend with herb ornament perfectly matches this buckle. Material: brass. Strap width: 24 mm. .. Medieval European brass buckle of the XV century corresponds to its historic analogue that we can see in the collection of museum of Churburg Castle. Plenty of accessories shows of preferences of medieval times. Belt with buckles were in common use. Knights were fastening armor, load on the horses, baldric for weapon and bags with it. 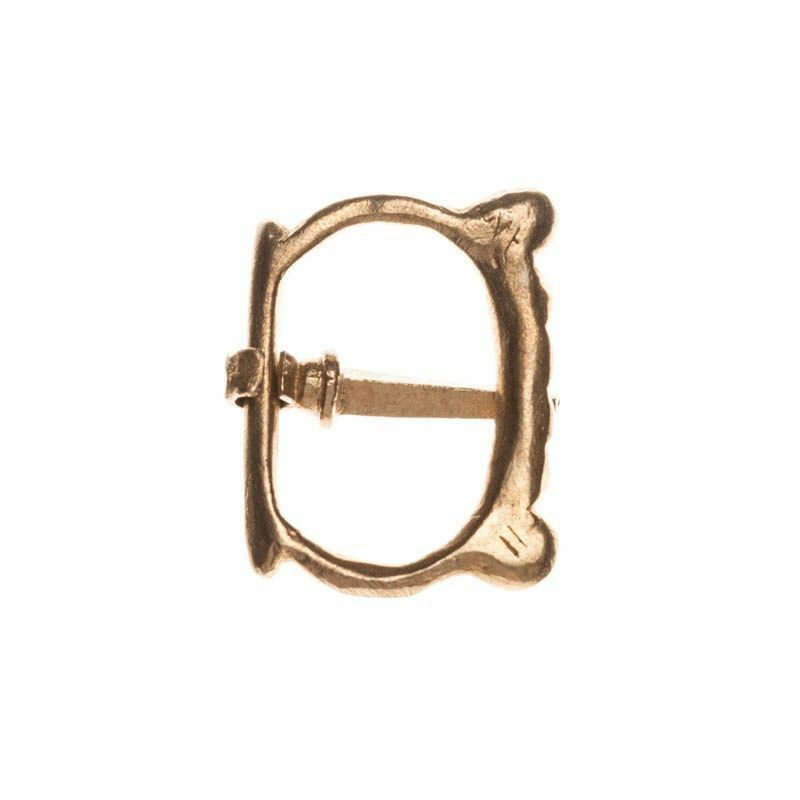 This handcrafted brass buckle will be suitable as for clothing, so for armor. Reenactors and fans of history will duly appreciate this firm and nice handicraft. Material: brass. Buckle size: 33 x 26 mm. Strap width: 20 mm. .. Size: 27 х 37 mm Belt width: 20-25 mm..